Kaanapali, Hawaii is a town with just over a thousand permanent residents, located on the western shore of Maui. Since its development as a tourist vacation and a shopping destination began about 50 years ago, the mile-long Kaanapali Beach has become the home of major resort hotels like the Hyatt Regency Maui, the Maui Marriott, and the Sheraton. It's also the site of many condominium complexes. In Kaanapali, there are plenty of cheap rates on rental cars available from Alamo and National on Halawai Drive, Hertz on Papalaua Street and also at the Hyatt Regency, and Enterprise on Kaanapali Parkway (serving the Kapalua Airport). If you're traveling to Kaanapali and you'll need a car rental in order to get around Maui, we can help you book a cheap car rental and find out exactly how much money you can save, today! Your rental car will give you the freedom to explore Maui at your own convenience, without having to wait for a ride or a taxi! At VroomVroomVroom we always offer honest, up-front pricing with no hidden fees or charges, and we have an amazing customer service team that's here to help you with any needs or questions you may have! 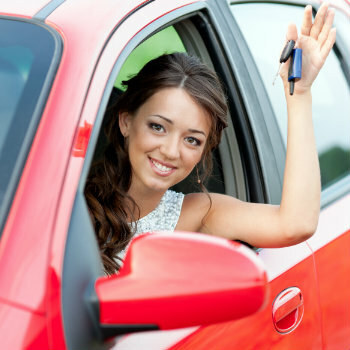 In addition to our “no hidden fees” guarantee, you can also relax and have confidence in knowing that we use high SSL encryption to protect your personal info when you book a cheap car rental in Kaanapali via VroomVroomVroom. If you'll be flying into Kaanapali, you'll often land at the Kapalua-West Maui Airport. This relatively small West Maui airport serves travelers going to and from Kaanapali, Lahaina and Kapalua. There are no car rental services on-site at Kapalua Airport, but you can book a rental car with one of several national companies which are located just a short shuttle ride away! These include Alamo, Avis, Budget, Dollar and Hertz Rent-A-Car. Kaanapali is a census designated place located in Maui County, Hawaii, United States of America. The city recently hit the 1000 residents mark and has an area of 6 square miles. In Kaanapali there are 537 households and 380 families, according to a recent statistic. The economy of Kaanapali is based on tourism and the city is the home of many luxurious resorts which started developing in the 1960s. Among them: Hyatt Regency Maui, Maui Marriot, Westin, Kaanapali Beach Hotel, Sheraton, Royal Lahaina and Maui Kaanapali Villas. If you plan to visit Kaanapali, you have a lot of accommodation offers at your disposal and also a lot of attractions to visit. In 2 Scuba is a sports center where you can obtain the scuba certification and try all kind of diving experiences. Locals also recommend In 2 Scuba for the great instructors that are professional and very patient with their students. Wake Maui is another great experience that you should really try while in Kaanapali. Have a fun day on the water in a really great trip where you can try wake boarding and snorkeling. Skyline Eco Adventure is something you should definitely try in Kaanapali. Zip-lining is awesome and adventurous and from the heights of the zip-line you can admire the great views of the city. Volcano Air Tours are the best thing to do if you want to admire the beautiful scenery of Kaanapali from above the ground. You have the unique opportunity to see the Hawaii volcanoes in a matter of two hours. Enjoy the wonderful waterfalls and the incredible lava flows in this amazing tour. Sugarcane Train is a family appropriate attraction. Not so adventurous, but full of information and opportunities to see all the historical buildings of Kaanapali and to learn new things about them. Converted from beach front and sugar cane fields to a luxury tourist resort by the sea, this destination is pure heaven, with white sand beaches and some of the best snorkeling on the island of Maui. The balmy breeze and riveting sunsets make it the perfect getaway. 1. Black Rock. An extinct volcano, Black Rock is the only peninsula in Kaanapali. Whether you are exploring rock formations or snorkeling the waters around the rock, you'll be amazed at the sight. For more information on the Black Rock click on the link. 2. Whaler's Village. This shopper's delight is a large mall area in the center of Kaanapali with upscale boutiques, jewelry and clothing stores. Whaler's Village plays host to the annual Maui Onion Festival every August. 3. Kaanapali Beach. Kaanapali Beach boasts some of the purest white sand on Maui. The beach is split in two by Black Rock. From the beach you can see beautiful sunsets with the island of Lanai in the horizon. 4.Whaler's Village Museum. This historical look at Lahaina's whaling industry contains a valuable collection of 19th century drawings carved on whale teeth and bone (known as scrimshaw). For more information on the Village click on th elink. 5. Kaanapali Historical Trail Tour. When you're not playing golf, you can learn the history of Kaanapali with a free guided tour that features ancient legends about the area. For more information on the Trail click on the link. If you'd like a nostalgic tour of Maui, the Sugarcane Train is a great option. The old steam train takes you through the almost extinct train tracks of yester- year, and sometimes you can even spot whales in the ocean nearby. If you're on holidays in Maui, you probably don't want to miss a thing. Booking a car rental is the cheapest, easiest way to see the sights, at your own pace. We have the best deals and lots of great offers for you to enjoy Maui on your holiday. Alamo Kapalua Arpt - 30 Halawai Dr Ste C, No Cruise Ship Pick Up, Lahaina, . Avis Kaanapali - 11 Halawai Drive, Lahaina (Maui), . Budget Kaanapali - 11 Halawai Drive, West Maui Airport, Lahaina, . Enterprise Kapalua Arpt Off Site - 30 Halawai Dr Ste C, No Cruise Pick Up, Lahaina, . Enterprise Sheraton - 2605 Kaanapali Pkwy, Kaanapali Pkwy Pick Up Only, Lahaina, . Hertz Hyatt Regency - 200 Nohea Kai Drive, Kaanapali, . National Kapalua Arpt - 30 Halawai Dr Ste C, No Cruise Ship Pick Up, Lahaina, .